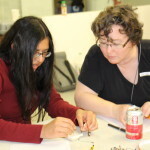 Participants will learn to design a basic LED circuit, choose appropriate components, and embed circuitry into projects using fiber and paper craft tools. 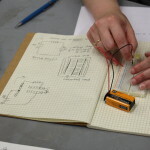 After a crash-course in basic electronic theory, participants can opt to test their circuits out on breadboards and experiment with conductive thread, ink, fabric, and adhesives that are designed for flexible circuit-making. 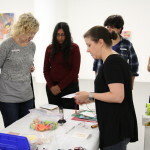 Workshop attendees are invited to bring in their own works-in-progress and/or materials for experimentation. Parking is free of charge. Entrance to Mana Contemporary is on the east side of the building. Please press bell to be buzzed in. Front desk staff will be available to give directions to the Workshop Space. 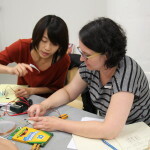 The workshop is free but RSVP is required.